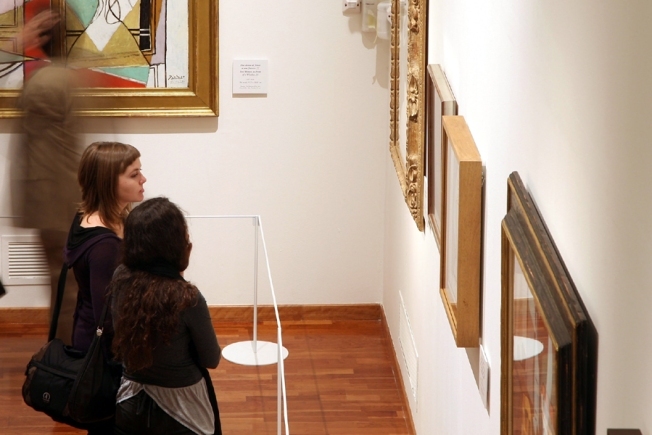 Masterpieces of Picasso are shown at the 'Vittoriano' Palace Museum during the opening exhibition "Picasso 1917 - 1937" in October in Rome, Italy. Two leading New York City museums will remain the owners of two Picasso paintings after settling claims by the heirs of a Jewish banker that the family was forced by the Nazis to sell the works of art. The settlement was announced in Manhattan federal court on Monday as the case was about to go to trial. The family of a Jewish banker in Berlin in the 1930s sued the Museum of Modern Art and the Solomon Guggenheim Foundation for the paintings, claiming they were sold under pressure in Nazi Germany. A judge concluded last week that the family had produced enough evidence for the case to go to trial. The paintings are Picasso's "Boy Leading a Horse" and "Le Moulin de la Galette."